"Early Songs" easily snaps up the award for the most effortlessly beautiful, life-affirming album we've heard this week and is one of the most delightful musical discoveries you'll make this year. David Scott (for he is Early Songs) is a guitarist by trade (steel strung acoustic, to be exact) and on 'Wind Wound' (shockingly the man's debut) he integrates found sounds, piano, field recordings and windswept percussion to create a deep and weighty collection of tracks that you'll find impossible not to fall in love with. Opening on a high we're treated to 'Turn and Face Me', one of those tracks that sounds intimately familiar the first time its played - through the simplest of means it embeds itself in your psyche and the more you play it the more you become drawn into its intoxicating charm. Other highlights include the gauzy shimmer of 'Far Away is Scotland' which builds Scott's achingly beautiful guitar melodies over field recordings and distant piano. There are no shortage of albums like this at the moment, just last week we were treated to James Blackshaw's sublime 'The Cloud of Unknowing' and a couple of weeks ago we had the latest from Saddleback (also on Preservation) but for some reason 'Wind Wound' (I'm still not sure how to pronounce that, great title though) has left more of an impression on me than anything else of its kind. There is a sincerity and honest simplicity in Scott's compositions, and while they are expertly produced, they don't seem to be overdone or glossy - instead they share the same beauty I would attribute to Sufjan Stevens or his contemporaries, well crafted but without losing any of the magic that comes with gifted songwriting, that beating heart. 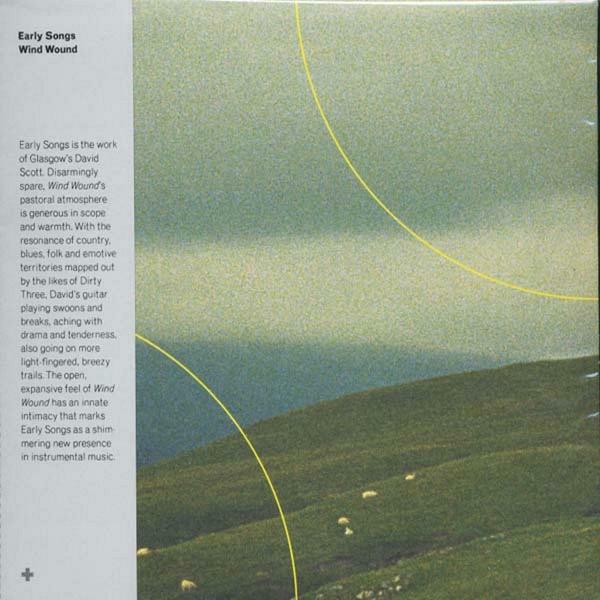 "Wind Wound" is just one of those albums you can't argue with - it's just too lovely. Essential Purchase.